There are typically two main problems when it comes to building pillow forts: structural integrity, and a lack of building materials. And both of those issues are solved with these wonderful engineered cushions called Squishy Forts, which use super-strong magnets to ensure they stay standing for longer than ten minutes. 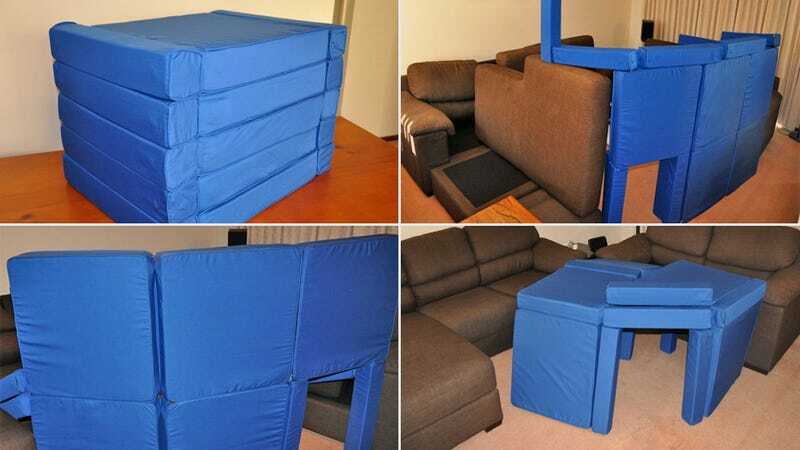 Currently raising funds on Kickstarter, $100 will get you a basic Squishy Forts set that includes ten cushions held together using rare earth neodymium magnets. But for $300, you can bump that up to the ultimate set—which comes with 25 cushions, letting you build a living room metropolis.